If buying local is your game, then you know how amazing boutique shopping can be. You won’t be walking around in the same clothes as hundreds of others while you support local commerce. If you find yourself shopping in Orlando, be sure to check out these amazing boutiques with great local charm. Branded B Boutique – If you’ve got a flair for western charm, you must stop into Branded B. This trendy gem is tucked away in Downtown Kissimmee and offers funky pieces from local artists that will soothe the hipster soul in you. Offering a selection of furniture, crafts, candles, and clothing, there’s something for just about everyone. Etoile Boutique – If you like to shop unique and vintage, Etoile is the boutique for you. Each item is hand selected and over 100 new pieces hit the floor every Friday. For a truly one-of-a-kind shopping experience, stop by Etoile today. Lauren Nicole – Located just near Lake Eola Park, Lauren Nicole has quickly become one of the area’s most popular boutique shops. At this location, you’ll find an upscale atmosphere, top notch customer service, and pieces for both a casual afternoon or a night on the town. Did I mention you can shop their boutique online? Tren-D – If you find yourself browsing the stores at Disney Springs, be sure to stop into Tren-D. This boutique is filled with eclectic, vintage-style, and completely inimitable pieces from clothing to wall art that will satisfy your Disney and fashionista fever. Zou Zou Boutique – The owner, Wendy, opened Zou Zou as a place to browse a great collection of up and coming designers and hard to find labels, while offering fashionable and fabulous finds! From shoes and accessories to dresses and individual pieces, her vision has come to life in both of her Orlando locations. Be sure to check them out for tons of cute items you’re sure to fall in love with. When planning your stay in Orlando, check out the Rosen Inn at Pointe Orlando. We are only a short distance from great attractions and all the local shopping locations Orlando has to offer. 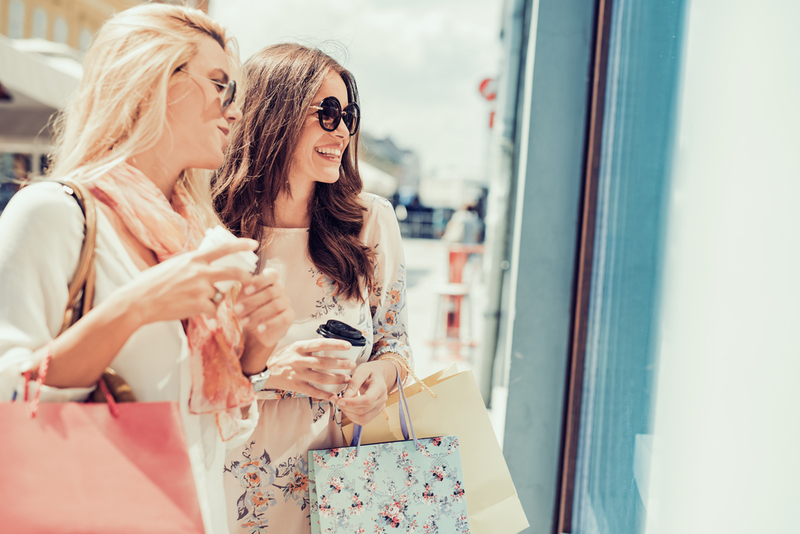 In fact, take advantage of the Shopper Shuttle provided courtesy of Orlando International Premium Outlets to get tons of discounted items during your stay. For information and booking call us today at 407-996-8585!